Tyre maker Hankook has appointed Thomas Jacobi as the new Human Resources Director at Hankook Tire Europe. Jacobi brings with him a substantial expertise in personnel and employee management. The 43-year-old has spent the past 13 years working in human resources for companies in a variety of branches. Before he moved to Hankook’s European headquarters, he was responsible as Senior Regional Director EMEA for human resources management at a telecommunication company. Thomas Jacobi is the successor to Ji Su Lim, who has returned to the corporate headquarters in Seoul, Korea, and is now part of the “Human Resource Team” at the global research and development centre, Technodome. 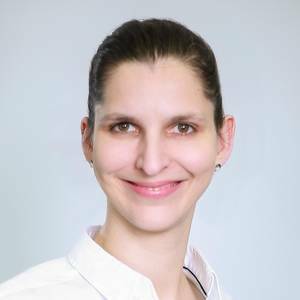 Neu-Isenburg, 28th March 2019 – Premium tyre maker Hankook has announced the appointment of Thomas Jacobi as new Human Resources Director for the European headquarters, starting on 1st March. Based in Neu-Isenburg, he is responsible for managing the Human Resources division for the European region. Jacobi has more than 13 years of experience in human resources and has worked for companies in different branches. Following his degree in law, specializing in the protection of industrial property and European law, the 43-year-old worked as Senior Human Resources Specialist in an electronics company and as HR Generalist EMEA in a company for navigation developments after passing his bar examination. Prior to being appointed HR Director at Hankook Tire, Jacobi was Senior Regional Director for the EMEA region for a global telecommunication company.